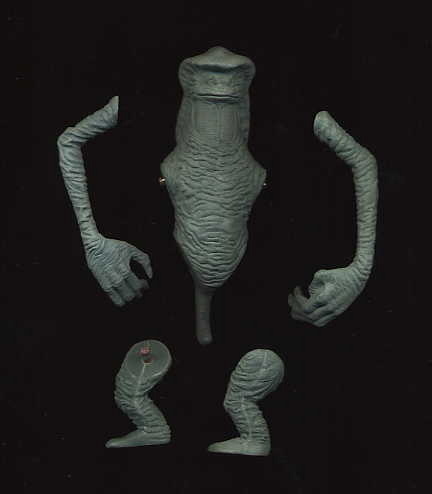 This is an unpainted dynacast hardcopy of the Amanaman figure. Note the pins in each of the joints and the solid urethane filling each of the pieces. 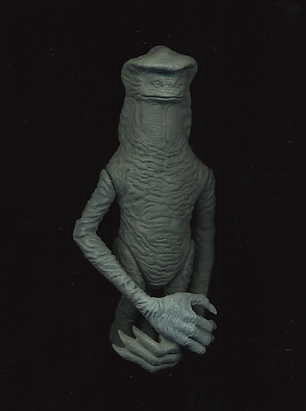 Amanaman is one of the most detailed figures ever sculpted in the vintage Star Wars line. The hardcopy shows even greater detail than the production figure as lots of the detail in the contours of the skin are lost in each phase before tooling.